Test Tube baby is defined to be the procedure in which the sperms and the eggs are carried and fertilised in vitro condition, in the laboratories to make the embryos. 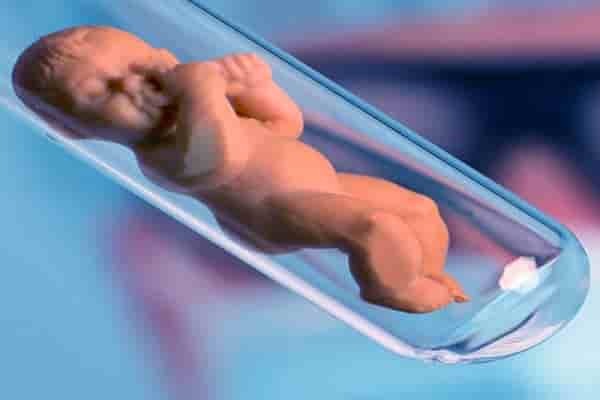 Who all can undergo Test Tube Baby procedure? Test tube baby procedure, in the first stage involves, some of the fertility medicines to be taken gby the female partner so as to enhance the production of eggs. When the eggs are release, they are taken out from the ovaries, under the guidance of sonography with the fine needle and kept in an environment similar to that of the human body. Following this, the good quality sperms, from the male partner are fertilized in the lab for the development of embryo. How long the couple has to stay for treatment? The intended couple has to stay for a minimum period of 18 days, whereas duration might exceed due to requirements of some additional tests or treatments required. Why opt for Test Tube baby IVF in India? With the advancement in the field of medical sciences, impeccable credentials of fertility specialists and medical staff and the use of latest technology equipment is brought into use. It is interesting to know that many people travel to India for infertility treatment from their own country. The treatment of IVF takes about 2 to 4 weeks in completion, later to which the woman takes the pregnancy test to analyse if the fertilized embryo is implanted or not. The success rates of infertility treatments are very high in India as compared to the others to an approximately 65%. For t eh women within the age group of 21 to 30 years of age. The younger is the women to be considered under the treatment, higher are the chances of successful pregnancy. There is significant drop in the fertility power of the female as they age. And the rate of success of t the treatment offered increases with each cycle when compared to the previous treatment such as IUI. In many cases, the sum up of success rate of three or more cycles might go up as high as 70%. Which means, women have high chances of getting pregnant thorough the fertility treatments and it is in total justice to the cost of this treatment. More cycles of treatment the women chose, more chances of success she has. A lthough this is very helpful treatment for the infertile couple but as each and everything boon and bane, similarly it has some associated risks. Risks that appear are some minor and some major. Major risk due to test tube baby is the multiple pregnancy which appear with this process. This may take place due to multiple reasons. The reasons behind this can be overdose of fertility drugs, or fertility process goes stronger. This is one of the reason behind multiple pregnancy. Other reasons can be the placement of more than one embryo in the womb can also lead to multiple pregnancy. These are certain risks associated with the In Vitro Fertilisation. There are some kinds of gene where IVF does not work. This distinct gene if present inside the females’ uterus can lead to the failure in implantation. This further leading to the failure of test tube baby IVF. Poor embryo quality being another factor leading to the failure of production. Few of the embryos are weak due to hereditary or genetic factors which are unavailable in producing heir. It occurs due to the chromosomal difference which led to the weakness. There are many methods by which the quality of the embryos can be enhanced. Once the equality can be enhanced, one can think of going under Test Tube baby treatment. One of the side effects which appears in the babies is the low weight after the production through IVF. This method of Test Tube baby includes the production of babies thorough the scientific method not natural. This low weight is high area of concern that causes life time problems. Is IVF Test Tube baby painful? Sometimes implantation is found painful in females, for this pain free injections or tablets are given to conduct embryo implantation painlessly. IVF is significant for people who are unable to conceive, it helps in achieving ultimate safe pregnancy and healthy baby. It helps people in realizing their dream of having a baby.